A service to celebrate and remember the life of Judy Lynn Catoe Cook, 71, of Kershaw, will be held at 3:00 p.m., Sunday, December 2, 2018, in the sanctuary of Kershaw Second Baptist Church, where she was a member. The Revs. Ronnie Hinson and Claude Moore will officiate. Burial will be private in the Kershaw City Cemetery. Mrs. Cook, loving wife of 50 years to Michael Ellis Cook, Sr., passed away, Thursday, November 29, 2018, at her home. Born in Lancaster, she was a daughter of Willis J. Catoe and the late Elizabeth Twitty Catoe. Mrs. Cook was a graduate of the Baptist College of Charleston now known as Charleston Southern University and a retired school teacher. She taught in the Lancaster Co. School District and the Chesterfield Co. School District. 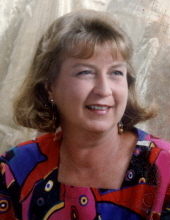 She loved working in her yard, flower gardens and spoiling her grandchildren. Surviving in addition to her husband and father are 3 sons, Michael E. Cook, Jr. and his wife Lane of Hickory, NC, Benjamin Parrish Cook of Camden and James Willis Cook and his wife Christine of Bluffton. Also surviving are four grandchildren, Catelyn, Caroline, Sam and Wade; a sister, Sharon C. Hammond of Kershaw and a brother, Clay Catoe and his wife Kay of Kershaw. The family will receive friends, Sunday, December 2, 2018, beginning at 2:00 p.m. in the Kershaw Second Baptist Church Family Life Center. Service to follow at 3:00 p.m. in the sanctuary. Memorials may be made to Kershaw Second Baptist Church, 7737 Kershaw-Camden Highway, Kershaw, SC 29067. Condolences may be expressed to the family at bakerfunerals.com. Baker Funeral Home is serving the Cook family. To plant a tree in memory of Judy Catoe Cook, please visit our Tribute Store. "Email Address" would like to share the life celebration of Judy Catoe Cook. Click on the "link" to go to share a favorite memory or leave a condolence message for the family.